LONDON (Reuters) - A Saudi royal adviser fired over the killing of journalist Jamal Khashoggi is not among the 11 suspects on trial at secretive hearings in Riyadh despite Saudi pledges to bring those responsible to justice, sources familiar with the matter said. The Saudi public prosecutor indicted 11 unnamed suspects in November, including five who could face the death penalty on charges of "ordering and committing the crime." The CIA and some Western countries believe Crown Prince Mohammed bin Salman ordered the killing, which Saudi officials deny. Saud al-Qahtani, a top aide to Prince Mohammed until he was sacked then sanctioned by the U.S. Treasury over his suspected role, is not on trial and has not appeared at any of the four court sessions convened since January, said seven sources, who are familiar with the proceedings but have not attended the trial. Two regional intelligence sources told Reuters weeks after the killing that Qahtani oversaw Khashoggi's murder and dismemberment by giving orders via Skype to a team of security and intelligence operatives. The Saudi public prosecutor said in November that Qahtani had coordinated with deputy intelligence chief Ahmed al-Asiri, who ordered the repatriation of Khashoggi, a Washington Post columnist who had become a vocal critic of the crown prince's policies following years as a royal insider. The prosecutor said Qahtani had met the operatives charged with Khashoggi's repatriation ahead of their journey to Istanbul. When Khashoggi resisted, the lead negotiator decided to kill him, according to the prosecutor. Asiri is on trial, the seven sources told Reuters. Three of the sources said that Maher Mutreb, the lead negotiator, and Salah al-Tubaigy, a forensic expert specialised in autopsies, are also on trial and could face the death penalty. The public prosecutor, the government media office, Qahtani and Asiri did not respond to requests for comment on the status of the trial. Reuters could not reach Mutreb, Tobaigy or any of the defendants' lawyers. Saudi Arabia wants to move on from the global outcry sparked by Khashoggi's killing in the kingdom's Istanbul consulate last October, which tarnished the crown prince's reputation, prompted some investors to pull out, and intensified criticism of the country's human rights record. A credible investigation and trial are among Western demands to restore Saudi Arabia's standing after the killing. But Riyadh has refused to cooperate with a U.N. inquiry, rejecting it as interference in its internal affairs. It is unclear what evidence, if any, has been presented in court. 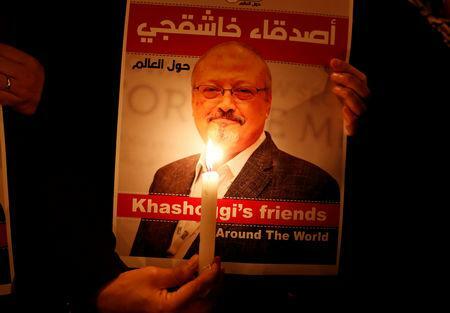 Khashoggi's remains have not been discovered, and Riyadh says it has not received evidence requested from Ankara, which says it has recordings related to the killing in which Qahtani features prominently. A senior Turkish official said Ankara had shared all the necessary information with Saudi Arabia but that the cooperation had not been reciprocated. Turkey wants Riyadh to answer questions including where Khashoggi's body is and who the Saudis standing trial in Riyadh are. Three of the sources said a representative for the Khashoggi family attended at least one session to ask for an update on the public prosecutor's investigation into Qahtani and for him to be brought before the court. Qahtani has continued to wield influence in the crown prince's inner circle and remains active on behalf of the royal court, Western, Arab and Saudi sources with links to the royal court told Reuters in January. A Saudi official denied that at the time and said Qahtani remains under investigation and banned from travel. Access to the trial has been limited to diplomats from the United States, Britain, France, Russia, China and Turkey who are summoned on short notice and barred from bringing interpreters.